Mission Hope Chicago and Cubejumpers IT combined forces this past weekend for the Crystal Lake Chamber of Commerce EXPO 2012. The two organizations teamed up to raise funds towards sending care-packages overseas to US Troops. Cubejumpers: Doug, Chris, Steve. Photo credit: Ben Thompson. 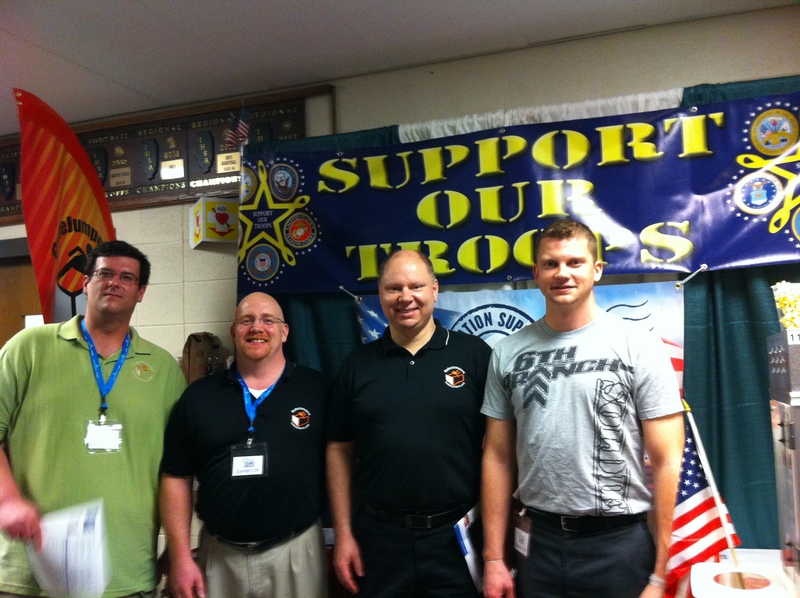 Steve with his EXPO team Doug and Chris, exceeded their goal raising $654 during the two-day event. Cubejumpers also provided laptop health checks to all donors giving more than $20 to MHC. 6th Branch Soldiers served popcorn during the event, handing out over 1,000 cups of fresh popped kettle corn to very excited, and hungry attendees. Rental Max of Lake Zurich graciously donated the popcorn machine for the weekend, drawing hundreds to the Support The Troops booth. 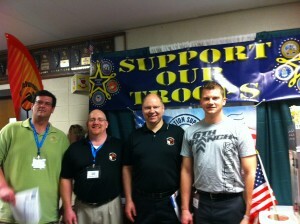 Chris, Steve, Doug of Cubejumpers IT and Ben Thompson 6th Branch / Mission Hope Chicago raise funds towards sending care-packages overseas to US Troops. The EXPO committee and the CL Chamber really did a great job with this event, they always go beyond the call of duty for their members providing nothing short of excellence. 6th Branch is looking forward to Community Cleanup Day on April 21st, which is sure to be another First Class event hosted by CL Chamber, co-sponsored by 6th Branch and many other great local businesses. Mark your calendars! 6th Branch extends a special thank you to everyone who attended and participated in the 2012 EXPO and especially to those who contributed, have contributed, and continue to serve our military heroes. They pray for every man, woman, husband, wife, father, mother, son, and daughter to come home safely and quickly…In the meantime, they continue to send love and support to those who risk it all in the name of FREEDOM. We cannot afford to take it for granted, Freedom is NOT Free.